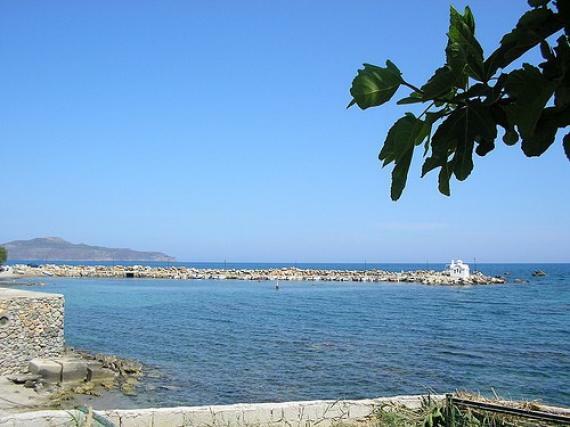 Getting its own name from the sea side tavern, Kalamaki in the west of Chania is offering you numerous chances to have the time of your life in the most beautiful Greek island. An amazing resort with a great deal of hotels with sparkling sandy beaches will offer you just about everything and more importantly the overall feeling of the place will not disappoint you! Taste excellent quality food by the various seaside taverns with the most friendly people willing to assist you with a big smile on their face! When in Crete you will realize how time goes by in Kalamaki. Find the perfect accommodation that will cover your needs available for all different budgets from luxury to the cheapest and budget ones that will make you feel like home away from home! If tranquility and relaxation is what you are after then Kalamaki, only a ten minutes distance from the center of Chania will get you to a whole different world where time stops and holidays start. You may always visit all the attractions at Chania City since Kalamaki is only a ten minutes drive from there. Enjoy the countryside and try one of the local taverns that will offer you only the most amazing delicacies with a rustic flavor that will remain unforgettable to you! Try eating fresh fish or even just ask for your morning coffee or better yet rent a bike or a car and explore the area. When you are visiting the area during the hot summer months you are with no doubt looking to find the ideal beach. Two stunning sandy beaches in Stalos and Glaros, are really organised with numerous beach front restaurants and bars as well as all the top activities to satisfy your appetite in the most amazing way. Whether you are hoping to spend quality time with your family or wish to relax and enjoy all that Crete stands for in Kalamaki you will see everything you ever asked for coming true.